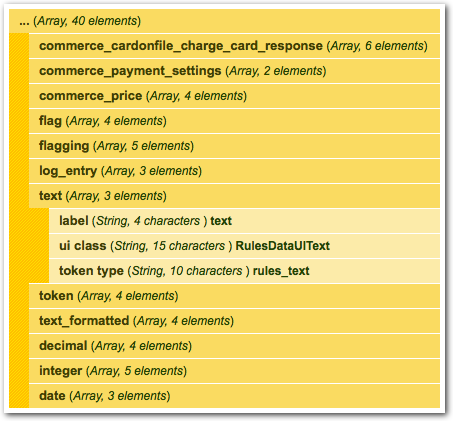 There is plenty of documentation out there explaining how to create custom rules events. What I had a tough time finding was a list of the variable types that are available for elements reacting on this event. I had seen examples of “text” and “user” but I really wanted to know what all of the types are. type: The rules data type of the variable. All types declared in hook_rules_data_info() or supported by hook_entity_property_info() may be specified. bundle: (optional) If the type is an entity type, the bundle of the entity.